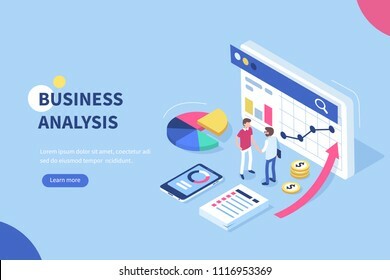 8250 place | Vector illustration in rank M-rank: Business analysis concept banner with characters. Can use for web banner, infographics, hero images. Flat isometric vector illustration isolated on white background.